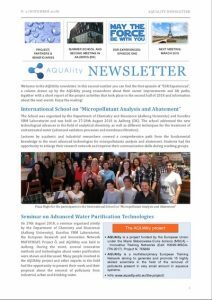 AQUAlity is a multidisciplinary and interdisciplinary as well as cross – sectoral European Training Network aiming to generate and promote 15 highly skilled scientists in the field of the removal of pollutants present in very small amount in aqueous systems. 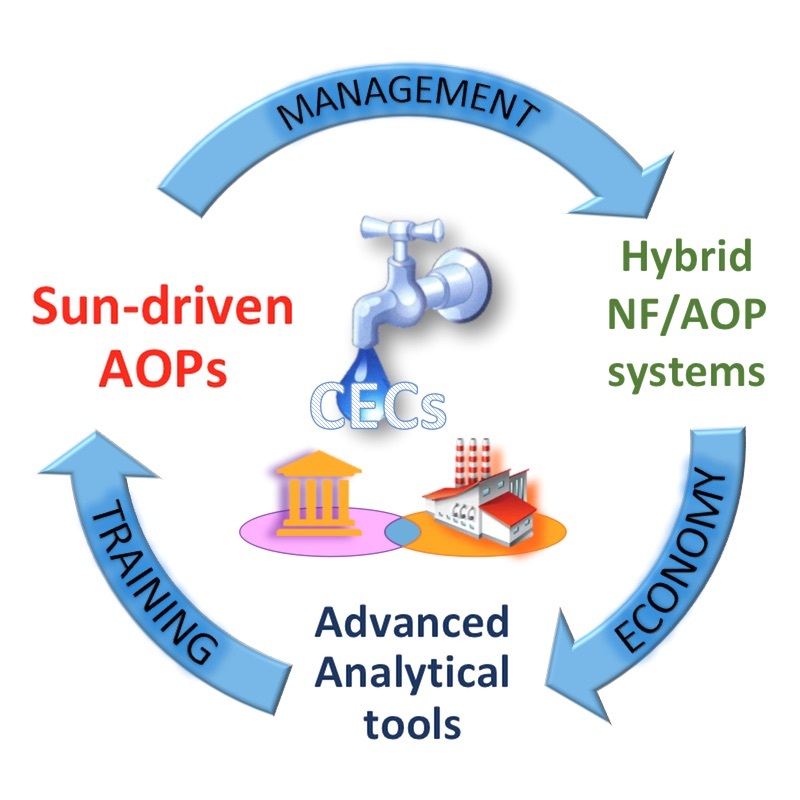 In order to develop innovative purification technologies expected to be more effective than conventional adsorption and biological treatments, AQUAlity will enrol 15 early – stage researchers (ESRs) to conduct cutting – edge research on multidisciplinary aspects of novel hybrid technologies for the removal of Contaminants of Emerging Concern (CECs), which comprehend compounds present in very small amount in aqueous systems, having the potential to cause adverse ecological or human health effects. The 15 ESRs will be trained to develop their creativity, critical and autonomous thinking, and entrepreneurial skills, thus boosting their scientific skills and innovation capacity in the field of water treatment technologies. 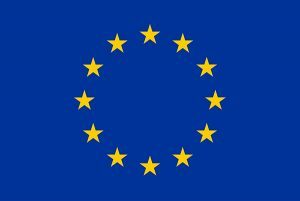 This goal will be attained via a structured training – through – research programme, consisting of original individual research projects (performed both at the beneficiary organisation and through intersectoral secondments) and education on technical and transferable skills (performed both at local level and with network – wide events). Each research project addresses a specific issue tailored towards a PhD, and each has been peer – reviewed by the network for scientific rigor and feasibility as a PhD project.